Initially the CPL was founded to counteract the dramatic decline in Latin enrollments of the mid 70s. Emphasis was placed on being proactive rather than reactive. According to Kenneth Kitchell, posters, brochures, videos were sent to those who could influence the retention of a Latin program or the introduction of a new one. Letter writing campaigns tried to stop discontinuation of Latin at individual schools. The premise that a person in a school district better knew what was needed at that given place and time than anyone else spawned the idea of state representatives. 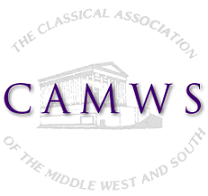 In time, the states were grouped into regions, and the work of the CAMWS State / Provincial Vice-Presidents was coordinated by CAMWS Regional Vice-Presidents. As enrollments steadied, the CPL started addressing new issues. Perhaps one of the most important projects in the early tens of the twenty-first century was the idea of starting an online pedagogical journal. Spearheaded by the CPL board in 2003 and facilitated by Carin Green, the back-then Chair of the CPL, the editorship of CPL Online was undertaken by Charles Lloyd at Marshall University. Supported by a grant from the CPL, a website was created, and the first issue of CPL Online came into existence in 2004. As Charles Lloyd was retiring from Marshall University in the spring of 2007 and completing the last of his issues of CPL Online in the fall of that year, John Gruber-Miller agreed to take on the editorship. CPL Online was renamed TCL (Teaching Classical Languages) and since then has been published on the TCL webpage of the CAMWS main page. Now in the fourth decade of existence, the CPL continues to encourage and support all activities that promote the study of Classics, and of Latin in particular, in- and outside of the schools. It increases awareness, at each educational level, of our Classics community by offering funding opportunities for promotional activities in the schools and help for Latin- / Classics programs in crisis. CPL sponsored panels and workshops at the annual meeting aim at contributing to an ongoing conversation about how the study of Latin can be promoted best in the field of education. * Many thanks to Kenneth Kitchell, Tom Sienkewicz, Carin Green, and Charles Lloyd for providing information on the history of the CPL.